Sklep internetowy: 56.00złPLN / 1szt. 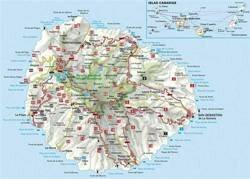 La Gomera can be considered the wildest of the Canary Islands. From the central highlands of the almost 1500-metre high island, countless, steep-walled gorges wind down to the sea, slicing the otherwise gently sloping island coast like a cake. La Gomera is made for nature-loving walkers, and offers an incredible variety in its countryside: Idyllic valleys with terraced fields and palm groves stand in contrast to precipitous cliffs and spectacular gorges; the magical laurel forests of Garajonay National Park are countered by pine forests and banana plantations. Thus, the hiker can expect a pleasant stroll like no other, between blazing lava beaches, lush, misty primeval forests, ridges shrouded in clouds – and the ever-present, deep-blue Atlantic. This Rother Walking Guide presents the hiker with a wide variety of entertaining tour recommendations encompassing all regions of La Gomera. These walks range from comfortable paths through palm-studded valleys, to tranquil mountain strolls, to panoramic summit climbs – hiking trails through the dreamy, misty primeval forest are mentioned, as well as the partly paved caminos, which once represented the main connecting roads between villages. Many of the 66 tour recommendations are ideal for less experienced hikers. Yet experienced mountain hikers who are not afraid of power hikes and can handle a shot of adventure and risk will also find a rich selection of routes. 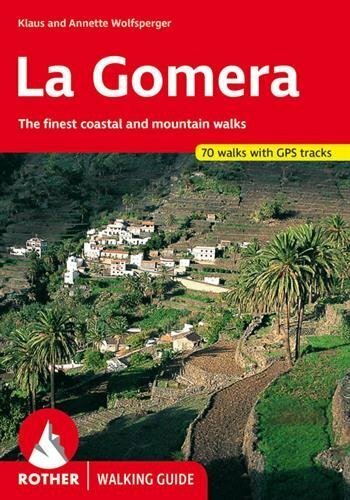 This excellently researched guide is enhanced by outstanding colour photos and map excerpts based on the Freytag&Berndt hiking map of Gomera (scale 1:35,000), and is highly recommended to all mountain fans of the island. 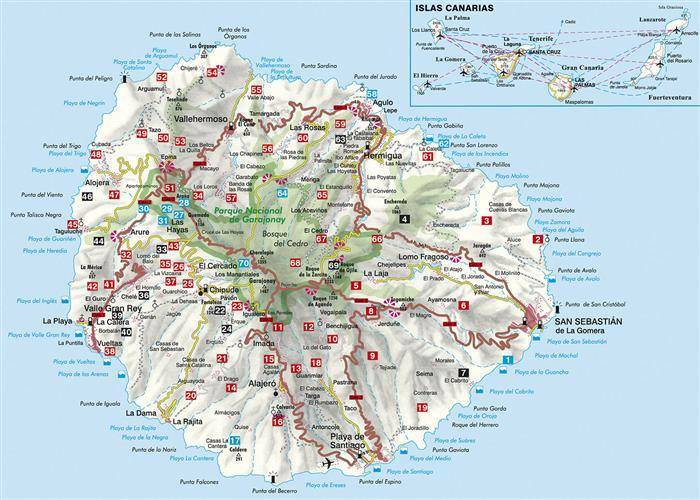 Walkers also interested in the neighbouring islands should check out the Rother Walking Guides on La Palma, Tenerife and Gran Canaria.